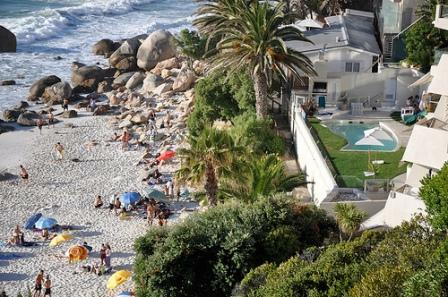 Clifton is situated on the Atlantic Seabord side of the peninsula.This is where you will find some of Cape Town's most upmarket property. 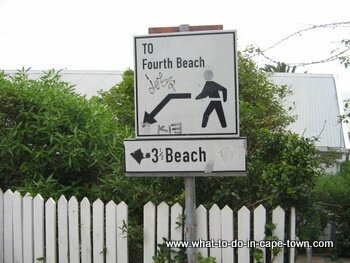 The beach is made up of 4 coves and the beaches are called 1st, 2nd, 3rd and 4th with 4th being the closest to Camps Bay and 1st the closest to Sea Point. All of the beaches are accessible via steep winding and narrow stairsthat lead down from Victoria Road making it inaccessible for disabled visitors. 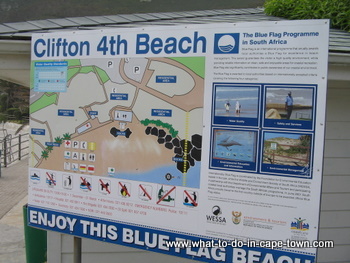 Generally 4th, which has Blue Flag status, is the busiest with good changing room and bathroom facilities. Kiosks and vendors on the beach sell snacks, cold drinks and ice-creams. Alcohol is not allowed on the beaches. Yachts, speed boats and jet skis come and play in the bay giving it the atmosphere of a Mediterranean resort. Parking on Victoria Road can be a problem on busy days. Try parking on Kloof Road, as their are several sets of steps connecting the two roads. If the South Easter is howling then 4th Beach is your best beach option with wind protection from the spectacular backdrop of Table Mountain and the Twelve Apostles. Llandudno beach lies at the base of the steep slopes of the Twelve Apostles Range and is flanked by huge granite boulders. 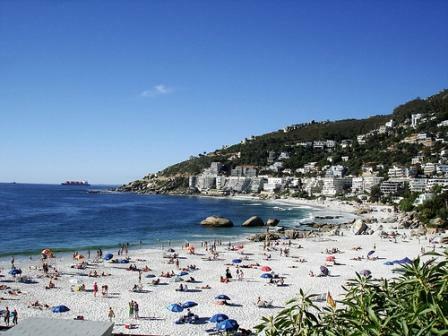 Not far from Llandudno, is Sandy Bay, well-known as only nudist beach and is popular with the gay community. Sea Point is not really one of the Cape Town beaches (though there is a swimming pool), but strolling along the promenade is a favourite activity for many. 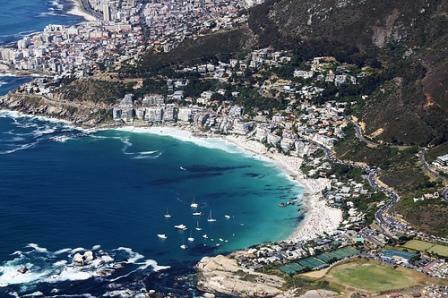 Sea Point has many eateries and bars along with a vibrant nightlife. Blouberg is popular for swimming, kite-surfing and surfing and it is from here that Table Mountain can best be seen and photographed. Return from Clifton page to Homepage.